On one level, Craig Gillespie has grown into a director with an agreeable work ethic. Specifically, I mean that in how he adapts his sensibilities into whatever project he is working on, for better or worse. The first film I saw of his was Lars and the Real Girl during the 43rd Chicago International Film Festival. Gillespie was there for the post-screening Q&A where he mentioned his background in commercial work before transitioning to feature films. Lars was an assured piece of filmmaking; quiet, introspective and smartly laced with delicate humor. I looked forward to seeing how the Gillespie film canon would grow. Unexpectedly, the next film Gillespie made was the remake of the 1980s horror comedy Fright Night, starring Colin Farrell. It in no way shared anything close to the special subtle drama of Lars (although I admit I enjoyed Fright Night on a superficial level, mainly because of my soft spot for vampire films). Since Fright Night, Gillespie switched gears again and did two forgettable live action Disney family films, Million Dollar Arm and The Finest Hours. Alas, after nearly a decade's worth of studio feature filmmaking, I still had no inkling into what the artistic voice of Gillespie was (or is). I mention this directorial history because his newest film I, Tonya is a very distinct motion picture, one filled with a visual bravado and energy that's tonally messy at times but nevertheless feels thrillingly alive. It certainly doesn't come across as another one of Gillespie's "for hire" directing gigs. Is this the filmmaking voice we've been kept from this whole this time? Margot Robbie (Suicide Squad) stars as the titular real life antihero and famed figure skater Tonya Harding. Harding, as everyone probably knows, fell from grace and the public eye after she was banned from the U.S. Figure Skating Association in 1994 for being (knowledgeably?) involved in the physical attack on her skating peer Nancy Kerrigan. I, Tonya tells Harding's life story all the way up until that banishment (and then some after through flash forward talking head testimonies spliced throughout the film). When we first meet Tonya as a child she's being crudely sales-pitched into a skating rink by her cold and abusive mother LaVona (Allison Janney, sure to be Oscar-nominated); the sales pitch is directed at trainer Diane Rawlinson (Julianne Nicholson) and even though Rawlinson is reluctant to take Tonya on initially, she's quickly won over with the enthusiastic talent the young prodigy conveys. Much of LaVona's contempt for her own daughter stems from the fact that Tonya is in love with a sport that is catered to and practiced by an upper class; LaVona has already had her failures in life (e.g. a failed marriage) and having to use her modest income from waitressing to meet her child's sole passion only fuels the ongoing toxicity of their modest domestic dynamic. Rawlinson's charitable time and mentorship is key to Tonya's professional upbringing but it only adds another dark cloud over the head of LaVona, a woman who probably should never have been a mother in the first place. Janney is so good at mixing this look of failed love and boiled spite in her eyes. It's really something. I, Tonya has already drawn comparisons to Goodfellas, and though it's not on the level of that film's greatness, it does share some structural similarities: the colorful voiceovers, the greatest hits soundtrack of the era, the kinetic editing, the exceptional camera operation and also, the thorough display of violence. And here's where things get murky on the reception this film will have with mainstream audiences. Tonya grew up with domestic violence. Violence is very much a part of the life she knows and is integral to how she makes sense of other life events that follow (especially when she marries the sociopathic main squeeze of her life played by Sebastian Stan). I admit, when I first watched the film back in October, I winced and struggled with how enthusiastically the domestic violence was portrayed. At first, it's horrific but then after awhile, it became an unintended dark punchline in certain scenes. It's a problem the film has, but it's also one that I don't know if it could ever avoid. You see, if Gillespie slows down the tempo of the film to dive into the seriousness of domestic violence, then he risks losing the speedometer magic his movie skating on (pun very much intended). As a result, by glossing over every punch, stab and gunshot, I, Tonya at times seems to not care about some of the despicable people it's presenting and that risks allowing us not to care either. 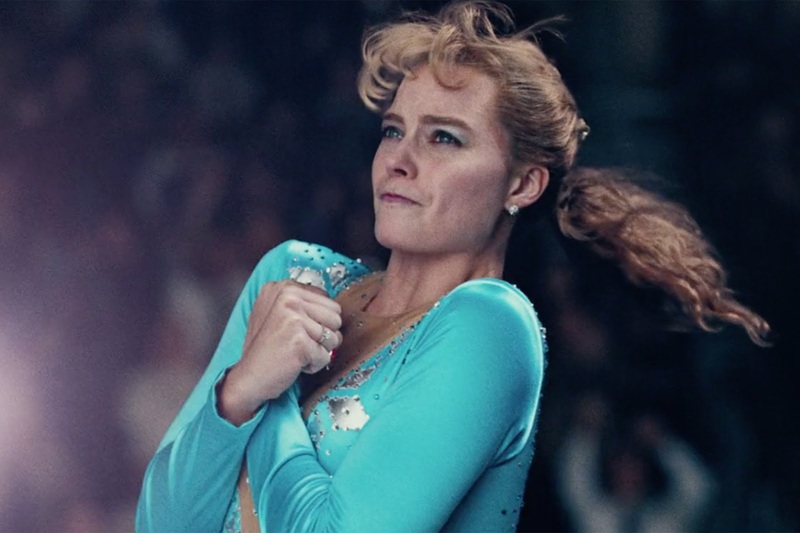 Still, the film has a lot to say about what it takes to be in the public eye as well as the timeless strain that is the class divide, which is the most important thing that prevents Tonya from ever reaching true acknowledgment from her arena of colleagues and superiors. I, Tonya is a film that resembles its main character -- tough, talented, imperfect, passionate, funny, misunderstood, violent, out of control and achingly American.